Published on December 23, 2015. Years of waiting are over for Beatles fans wanting to listen to the Fab Four's music on streaming services such as Apple Music and Spotify. Beatles songs will be available at one minute past midnight local time around the world on nine streaming services including Apple, Spotify, Deezer and Google Play, the band's record label, Vivendi SA's Universal Music Group, said Wednesday. All 13 original Beatles albums, such as "Help!," "Revolver" and "Sgt. Pepper's Lonely Hearts Club Band," are included, as are four compilation albums. The band was the most significant holdout to resist streaming, which can generate less revenue for artists than album sales. Yet with consumers increasingly opting to stream music rather than purchase it, other best-selling bands such as Led Zeppelin have gradually signed on in a bid to broaden their fan base -- and increase sales. Subscription and ad-supported streaming generated more than $2 billion in global sales in 2014, according to the International Federation of the Phonographic Industry, accounting for almost about a third of all digital music sales. The Beatles' resistance to streaming mirrors the band's refusal to sell digital downloads. The group's catalog didn't appear on Apple's iTunes until 2010. "The Beatles catalog has always been late to the party," Mark Mulligan, an analyst for London-based Midia Research, said by phone. "But the Beatles are a unique proposition. They can afford to set their owns terms, their own timetable." Streaming has since supplanted digital downloads as the music industry's hope for salvation from a decline in sales that traces back to 1999. The services have emerged as a major source of revenue in the years since 2011, when they accounted for about 10% of sales. 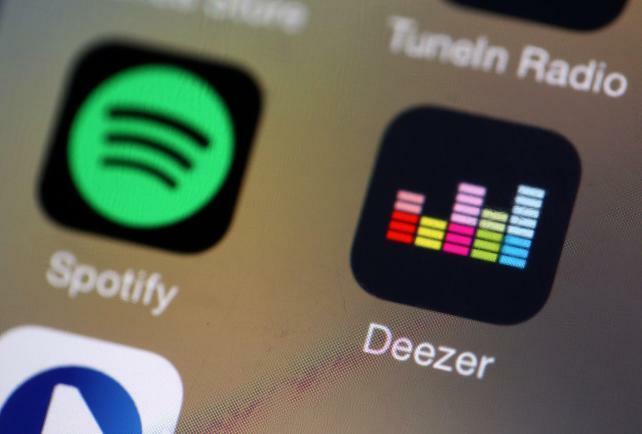 Even as artists such as Taylor Swift and Adele have withheld new music from streaming sites, the services' popularity has soared as consumers were attracted to the ease of use and instant access to millions of songs without having to own the collection. Spotify, for instance, doubled its subscribers from May 2014 to June 2015, and has more than 75 million users worldwide. While some artists have boycotted Spotify because of its free tier, the Beatles' catalog will be available on the company's free and paid tiers. Microsoft Groove, Napster, Amazon Prime Music, Slacker Radio and Tidal are the other streaming services that will include the Beatles in their lineups. Rights to the Beatles' catalog are controlled by the two largest players in their respective divisions of the music industry. Universal Music Group, the world's largest record label, acquired the Beatles' masters in its 2012 acquisition of EMI Group while Sony/ATV Music Publishing, the world's largest publisher, owns the rights to the vast majority of the Beatles songs. Record labels represent the rights to certain recordings of songs while publishers represent the rights of the songwriters. Avid fans have already been able to listen to the Beatles online. Radio services such as Pandora have offered some Beatles songs -- though not on-demand -- as has YouTube. "This is a win for streaming services," Mr. Crupnick said. "It's easy to 'just' stream the Beatles already -- I have a great station on Tune In and Pandora does a decent job serving them up. But for the pure experience with full control you're going to need a premium subscription."